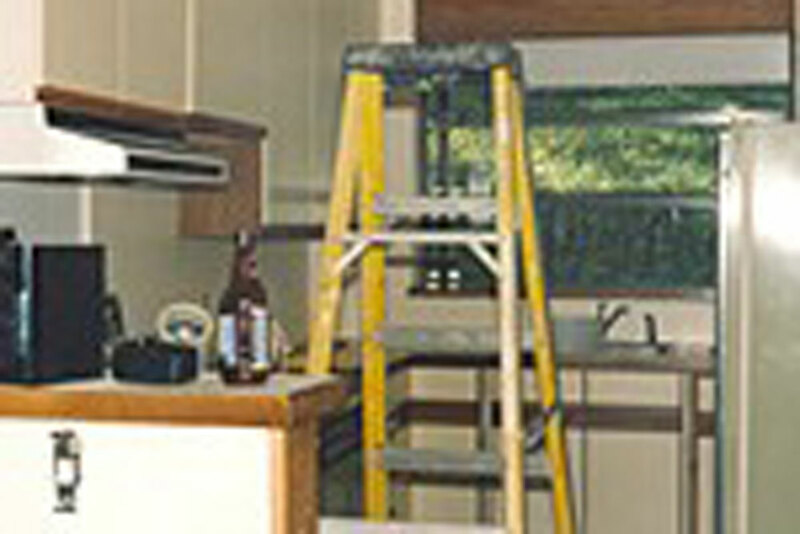 Being an owner/builder has taught me how to apply creative solutions to remodeling problems, without breaking the bank! 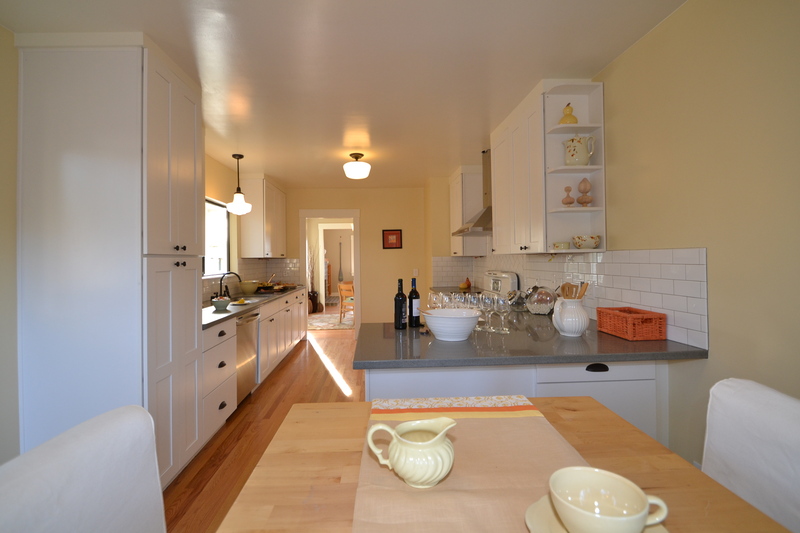 Here are some before and after photos of what can be done on a budget. I know it looks expensive, but it was actually quite reasonable. 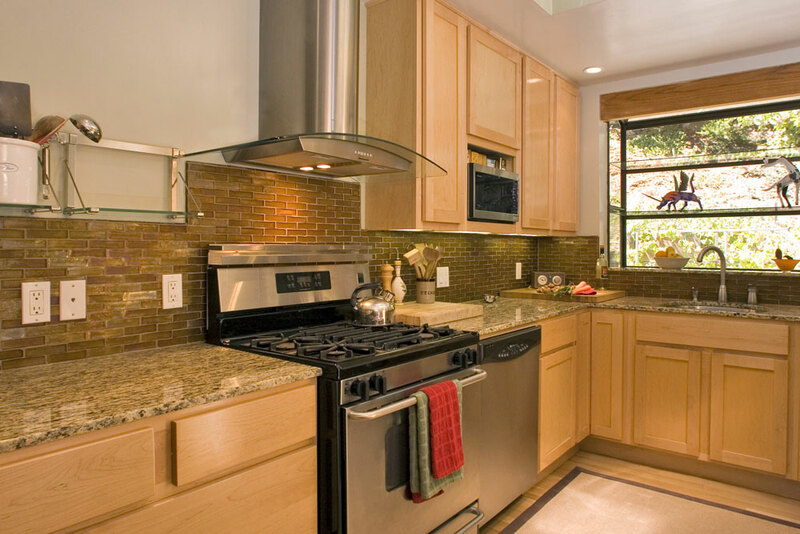 Call me to discuss your remodeling project or how to get your house ready for the market. 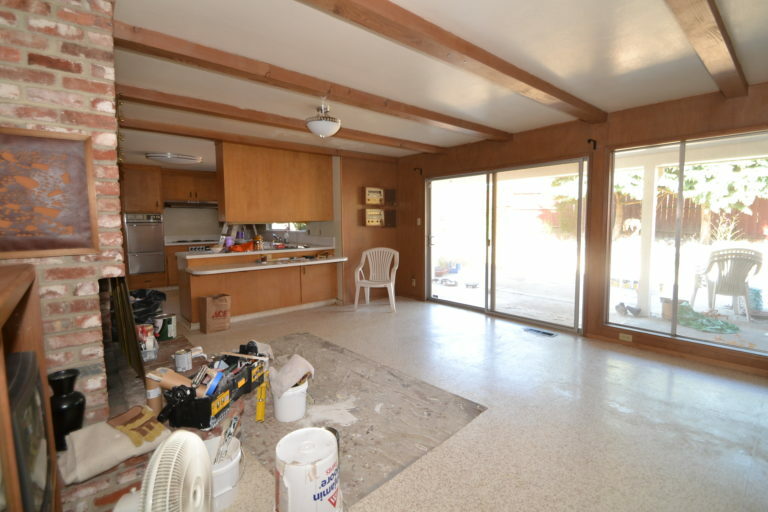 A dated, avocado green, mid-century kitchen in need of a complete remodel. Less than $20k later, you’re looking at granite counters, hand-blown glass tile backsplash, new appliances, custom lighting, hardwood floors and new cabinets. 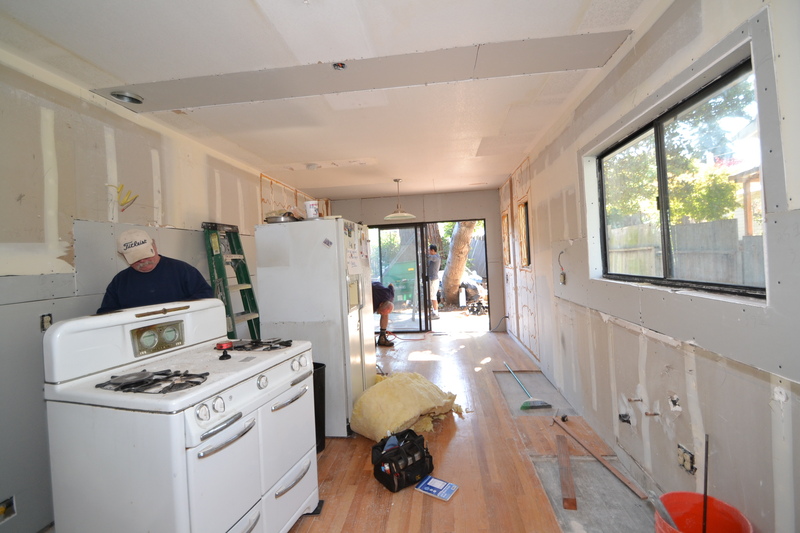 The kitchen had seen better days, as the focal point of the home we needed to do a complete remodel. Gutted to the studs, new custom cabinets, Buddha stone counters, subway tile backsplash, stainless steel appliances, stone floors and new lighting. We did keep the vintage O’Keefe and Merritt stove. Also added is a buddy bar space for casual meals and doing homework! 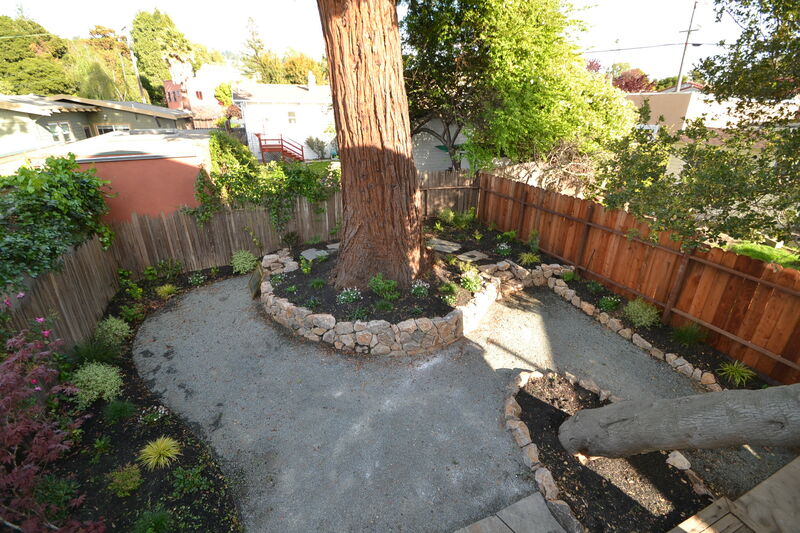 The backyard was a shady, unused space. Now, the custom built in bench with ergonomic curves and open space make it a natural gathering area for family and friends. …just all part of a days work. We coordinated the entire job and the “Bank of Michael” advanced the funds. Probate sale with full powers. 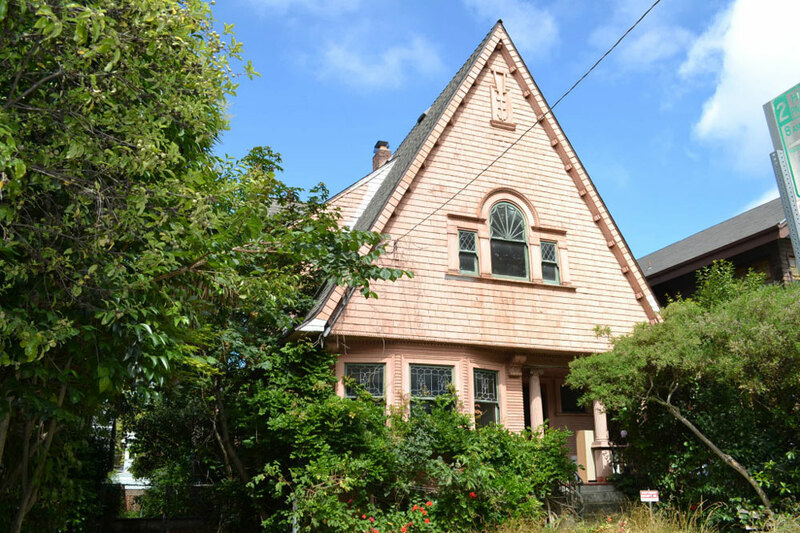 This home at 2516 Etna Street had a 50 year old pink paint job, missing accents and railing. The same family owned it since 1908. 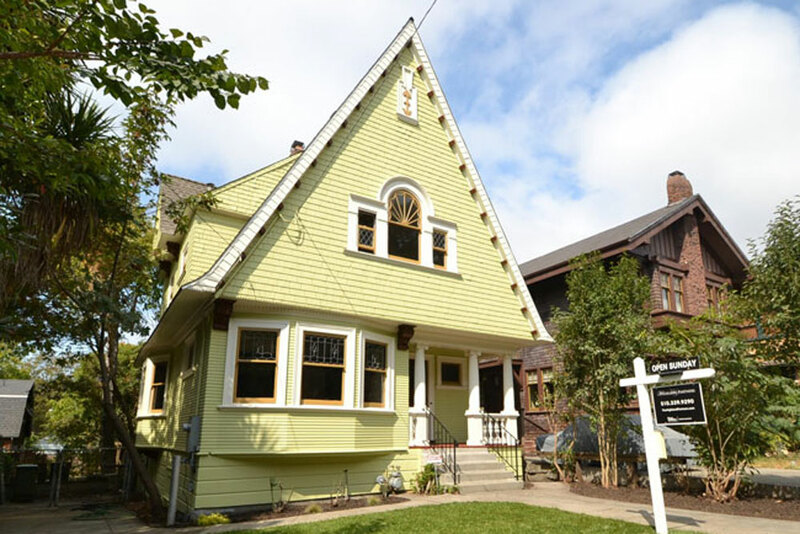 The interior leaded glass, tile, cove 9′ ceilings and picture rail details were intact. The curb appeal created was essential to increasing traffic and offers. 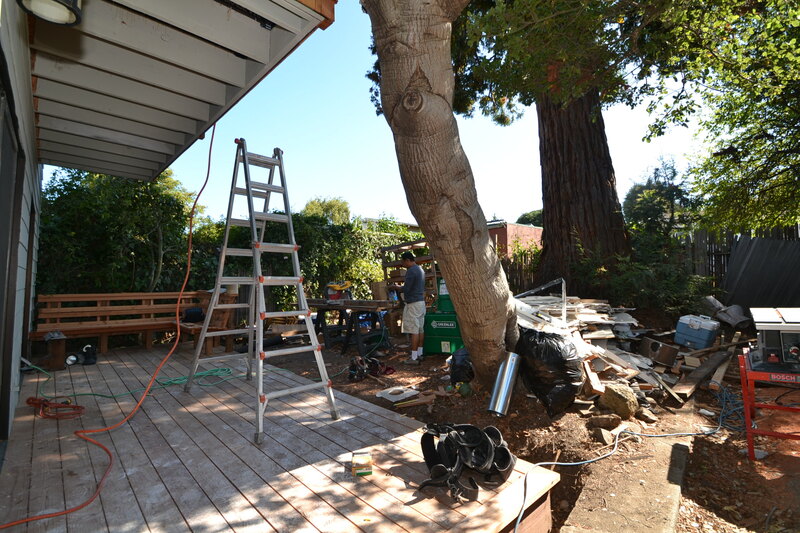 Oakland Hills mid-century goes nuts! 10830 Snowdown Ave. needed just a little paint, a haircut and staging to shine! 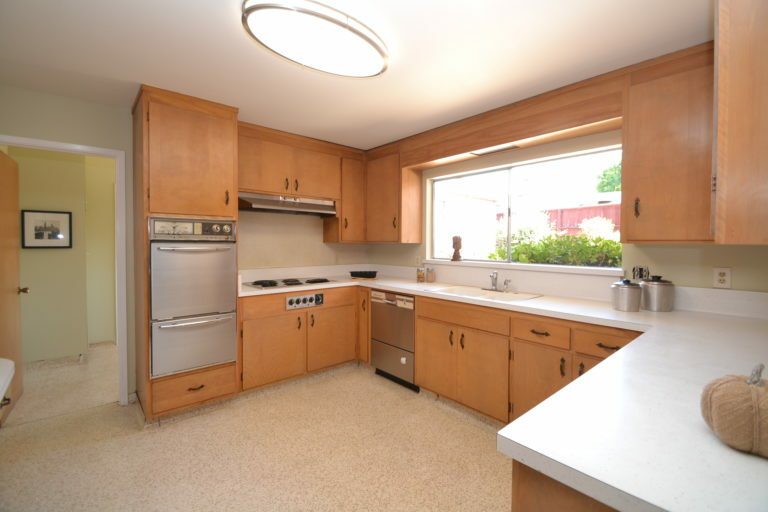 Located a stone’s throw from the Oakland zoo and Chabot golf course, it reflects the mid-century look popular when the area was developed.